We were introduced to Tianlin's incredible portfolio by a friend who took our engagement photos. We were looking for a professional photographer who matched our laid back style and desire for a candid look. We immediately loved Tianlin's airy look and were even more impressed when we met with her in person. She is incredibly calming and professional and made my husband and I feel so secure about all the little parts of such a big day. Tianlin suited her wedding package to our needs and was very transparent about her costs, needs, and schedule. This made us feel confident and we enthusiastically booked her for our big day. Leading up to the day, Tianlin helped us plan to ensure our pictures would be seamlessly captured during a hectic schedule from getting ready to dancing at the reception. In addition to her supportive communication and guidance leading up to the wedding, we were blown away when we got our pictures back 6 weeks later. Her work captured every little detail and emotion of the day. We felt like we were reliving the whole thing all over again. Her and her assistant Wendy did a perfect job taking in who were were as a couple and all the relationships we celebrated that day with our friends and family. I can't recommend Tianlin Zhu enough for any of your photography needs! Kevin and I want to thank you so much for capturing all our wedding day highlights. Despite it being the hottest day of the year, you delivered in every single way. You made myself and Kevin feel extremely comfortable in front of the camera from our engagement shoot to the wedding day. You listened to our ideas and delivered beyond our expectations. We searched far and wide for a photographer and we are happy we found you! We fell in love with your photos, fast response and caring personality. Kevin and I look at our wedding photos everyday and each time we view the photos it paints a different perspective we forget about. We look forward to working with you on other future projects! If there was a gold standard of wedding photographers who are worth every penny, Tianlin Zhu Photography would take top honours every year! At our wedding, we wanted a photographer who would capture not just the venue, food and guests, but the atmosphere and reactions of the important people. Tianlin Zhu delivered with a professional approach that is second to none. She was constantly capturing our important day, to the point where the Bride asked on seven different occasions during the day if Tianlin was taking pictures and each time, she was capturing the moments without being told. Anyone can point a camera and click; what you are buying is a photographer's sense of vision and creating the memories that will last a lifetime. Tianlin was friendly, attentive and has a gift for seeing the ideal photograph and creating a lasting memory. She went above and beyond, even delivering a sneak peek of pictures less than 24 hours after our wedding day! I was nothing short of impressed, and we would highly recommend her for any event. Tianlin is the best! I’m not sure where to begin our rave about Tianlin’s photography skills, professionalism, and talent… But here we go. When we were first introduced to Tianlin’s website by our friends, we were pretty amazed at the natural and effortless look of her photos and we thought she would be a great fit for two camera shy people. Boy, did we make the right decision. We met her through video call because we were planning our wedding in Toronto from California. And when we met her we were surprised by how easy it was to communicate with her and how comfortable we felt talking to her. When we came back for Xmas and took our engagement shoot with Tianlin, she made two extremely camera shy people (who hate taking photos) feel comfortable and natural in front of a camera. She knew when to give us directions or prob us, and when to just leave us to be our crazy selves, which made the overall shoot feel like a natural date. On our wedding day, she was amazing and definitely did not disappoint. She was on time at every single location/event we had throughout the day. She was super polite and professional, as well as keen to details that we could trust her to capture our day flawlessly. At the ceremony and reception, she was also super ninja-like, many times we didn’t even notice her moving around in the background! When we saw the pictures afterwards, she captured so many candid and precious moments for us to remember! We had people come up to us to ask about her for her info on our wedding day, so safe to say she’s bestest. If we have the opportunity we'll be booking her for our next big moment of our lives :). 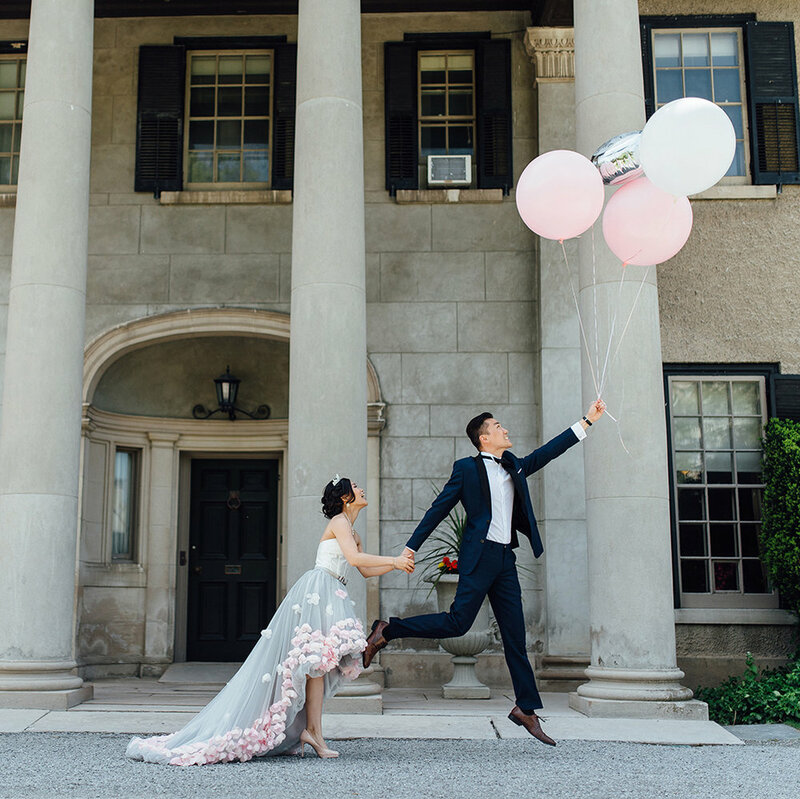 We are absolutely blown away by the beautiful wedding (and engagement) photos captured by Tianlin. From the moment I saw Tianlin's style of photography, I knew I had to have her as our photographer for our big day! I reached out to her immediately after getting engaged and was so excited when I found out she was free on our wedding date! We booked her instantly and never looked back. 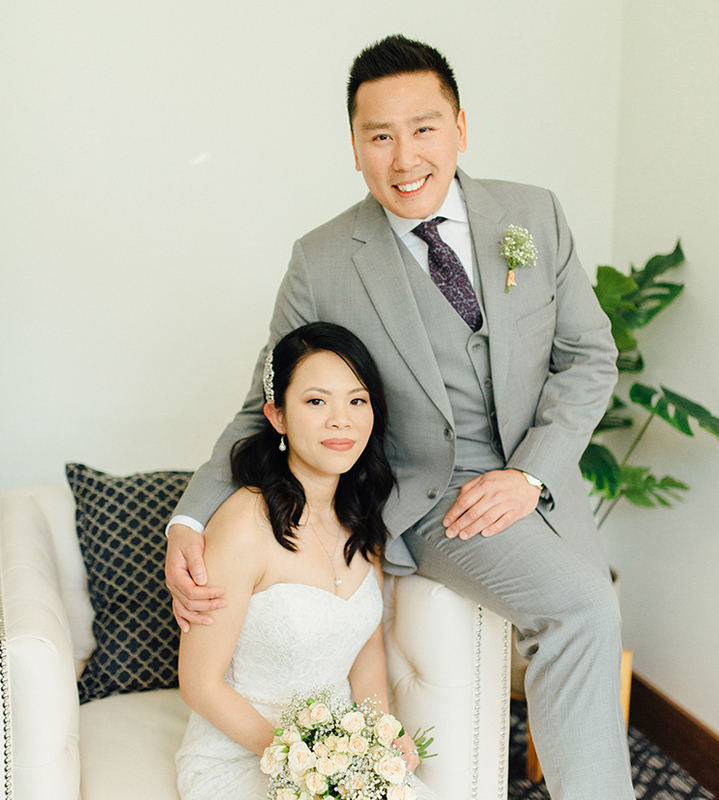 As two people who have never had professional photos taken, Tianlin made us feel comfortable and at ease as she captured so many beautiful intimate moments that we will cherish forever. She is extremely easy to communicate with, 100% reliable and a total rockstar at what she does! Our wedding photos are absolutely breathtaking and we constantly have people asking us who our photographer was. We couldn’t possibly love Tianlin anymore than we already do and will recommend her to friends and family for years to come. Tianlin, from the bottom of our hearts, thank you for everything. Tianlin Zhu Photography... where do I begin! From the first day that my husband and I met Tianlin we knew that she was the perfect fit for us. She took the time to get to know us and then provided incredible location options to take pictures for our engagement shoot. My husband hates taking pictures and I have never seen him smile and feel so comfortable in front of the camera. After our engagement shoot, he could not wait to take our wedding photos! Tianlin is a natural, she is incredible at what she does because she is passionate. I know this is going to sound super cliche, but it’s not all about the money for her. I can say this because I paid for her services and felt like I got a major steal. I remember the day after our wedding when Paul and I simply reflected on how effectively and efficiently Tianlin worked. She started early in the morning, met Paul and his groomsmen for pictures, then come to my parents home, then finally spent the rest of the day at the venue with us. Everything was smooth sailing for her, she was beyond prepared. I did not have a videographer at our wedding, it was just Tianlin and she did not stop. We didn't want a lot of posed photos so most were candid shots. She captured the most beautiful and touching pictures on our special day. In all honesty, till this day I do not feel like I needed a videographer since Tianlin got it all. She is calm, professional and in control. She worked incredibly well with the other vendors, my wedding planner said that Tianlin was a dream to work with. First thing in the morning after our wedding, we woke up to an email from Tianlin titled “Sneak Peaks”, in less than 24 hours she send us some of her favourite shots from the wedding. It brought me to tears, they were beautiful. We received all of our wedding photos within a few weeks! I feel blessed to have met Tianlin, she treated one of the most important days of my life with more care than I could ever ask for. We trust Tianlin wholeheartedly and we can not wait for Tianlin to capture the next big moment in our lives! If you are looking for a professional, passionate, talented, efficient photographer for your special day, Tianlin Zhu Photography, in my opinion, is the only way to go! We admired Tianlin's style of photography through social media and decided to hire Tianlin for our wedding. The number of compliments we got for our wedding photos and guests who asked for Tianlin’s contact is overwhelming! Tianlin is energetic, fun and a perfectionist. Tianlin is easy to work with but she also takes charge to get that perfect photo. At times, it felt like she cared about our wedding photos more than my wife and I which was amazing because the photos turned out great! Our photoshoot session felt like outing with friends. During the reception, she managed to capture all the magic moments, and I didn't even notice her moving around! Would i recommend Tianlin? 120% ABSOLUTELY, as i already have with so many of my friends. Tianlin, there are no words to describe how happy we are with the way you captured our wedding. Everything you do is flawless, and the way you move around a room without ever being "in the way" is amazing. I am so thankful that we chose you to photograph our wedding. I am overwhelmed with emotion as I look through the pictures, and everyone who has seen them has asked me for your name or contact information. Thank you for going above and beyond for us, and ensuring that our day was absolutely perfect and captured so beautifully. You are a wonderful person and photographer and we can't wait to have you photograph all the milestones we have to come! Tianlin’s service and photography was exceptional from the beginning to end. I am so glad to have her be recommended to me through a friend. We got the engagement shoot and wedding shoot package so we knew what to expect from her from our engagement shoot, and knew we can trust her for our big day. She was friendly and helpful with poses, and made our engagement shoot less awkward! She was also very helpful and professional with our wedding. We received a few sneak peaks and they were absolutely beautiful. We love it so much. She is very talented and her future clients will be happy to have her!! We were really lucky to have Tianlin as our wedding photographer. She is very talented and pays a great deal of attention to detail which really shows through her work. All the photos turned out stunning and could not have been better. She is very helpful and will make recommendations if you need them. I would definitely recommend her to everyone!!! Tianlin was so amazing to work with. Mike and I were a little nervous about the engagement photos – would they be corny!? Look awkward?! Tianlin made absolute sure that they were neither. We had so much fun during our shoot, it really reinforced that we made the perfect personality decision for us. Tianlin was so amazing during our wedding. The candids are amazing, we love all the photos so much. Tianlin was is kind, something that you need during your wedding. We got along with her so well and I think that helped everyone feel really comfortable. We genuinely felt like she was happy and excited for us. Tianlin stayed late to ensure she got every single shot she needed. She was also quick! We were so excited to have our photos super soon after the wedding. It helped us live on the wedding high just a bit longer. Our wedding was perfect and we want to do it again! If we did, Tianlin would be right there with us again! Tianlin is an amazing artist, who is able to capture finest moments with her photography skills. We met her last year and had her photograph our wedding and pre-wedding shoot. She was very engaged throughout all of our events and we were extremely happy with the photos when we received them. Looking at the photos was like reliving those moments all over again. Her friendly yet professional attitude was a delight. We will definitely have her capture any of our future events and would highly recommend her to anyone looking for a fine artist! We cannot express how grateful we are to Tianlin! She is such a kind an genuine person which made it so easy to be ourselves and that really showed in the pictures. A dozen people came up to us after the wedding and said "they have never seen someone work so hard and do such a good job of capturing all the moments without you even knowing she was there". Tianlin not only captured great pictures - she really captured every emotion we felt on the day. Looking back on the photos takes me right back to our wedding day and all the happiness we felt. We are in love with the pictures that she took and would recommend Tianlin to anyone. Tianlin is a true professional and has great talent. We were looking for someone that loved photography; not just someone that was good at it. She is able to capture a moment when you least expect it and put it into a beautiful picture. She made us feel very comfortable and it was extremely fun working with her. We are so happy with the photos of our wedding and engagement. Thank you for a wonderful experience! The biggest compliment my husband and I can give Tianlin is that we were completely comfortable with her. With her warm, supportive personality, Tianlin managed to make us, two very camera-shy people, feel comfortable while she took our engagement and wedding photographs. And, the photographs Tianlin captured were amazing. Above capturing all the standard engagement and wedding shots very creatively, she quietly also captured the special, natural, loving moments. Those are the photos that made me cry when I saw them and that our entire family will cherish forever. I will continue recommending Tianlin to anyone who is looking for a photographer and I look forward to asking Tianlin to capture more of our milestones in the years to come. Tianlin is an artist not a photographer. Her enthusiasm and personal interest in us and our story helped us bonds like we are friends. Her enthusiasm as she heard our very dramatic story was absolutely delightful! As an artist (I repeat no ordinary photographer), she has the knack to see what will look good in exactly what setting and angle. She is such a warm and lovely person that it was more fun than a photoshoot. 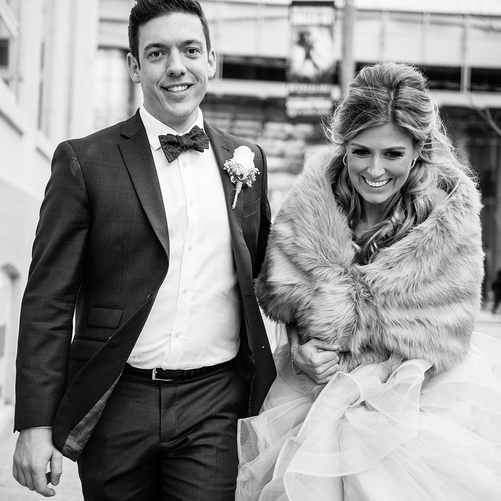 She captured the most fun, beautiful and intimate moments with such ease! Each moment so well preserved by her lens. The results are so brilliant that its hard for me to even pick a favourite, I love each picture! Tianlin had some great suggestions and like a great sport, went along with our silly suggestions too. I so wish she could cover our wedding as well. But alas it is in India and we cant seem to convince her to make the trip across to the other side of the world. Thank you Tianlin for the beautiful pictures as well as the great experience of working with you! We were so lucky to have found Tianlin as our photographer. She really listened to what kind of photos we wanted. Not only is she amazingly talented, but she made us feel so comfortable and natural in front of the camera. There are so many shots from our day that I love - I have to keep switching them in the picture frame I have at work because I cannot settle on one favorite! I would recommend that anyone who wants to capture those special, real moments should ask Tianlin to be their photographer. We were so happy with the results!!! Tianlin Zhu has been photographing and beautifully documenting my growing family for over 4 years. Her photos have captured moments and incredible memories of our three children that we will forever cherish. In years to come we hope to celebrate with Tianlin the arrival of more children and family memories. I am comforted and blessed with the knowledge that my children will grow up and be able to revisit the adventures and love that we shared through Tianlin's remarkable ability to capture love, warmth, and the notion of family all through the lens of her camera. Tianlin was amazing to work with. From our engagement shoot to our wedding day, she always ensured we were comfortable in front of the camera. Tianlin is very outgoing and travelled to Muskoka for our engagement shoot and we were very happy with the photos. On our wedding day, Tianlin captured great candid shots of our guests and also ensured we had all the staged photos we wanted. We couldn't be happier with our wedding album.